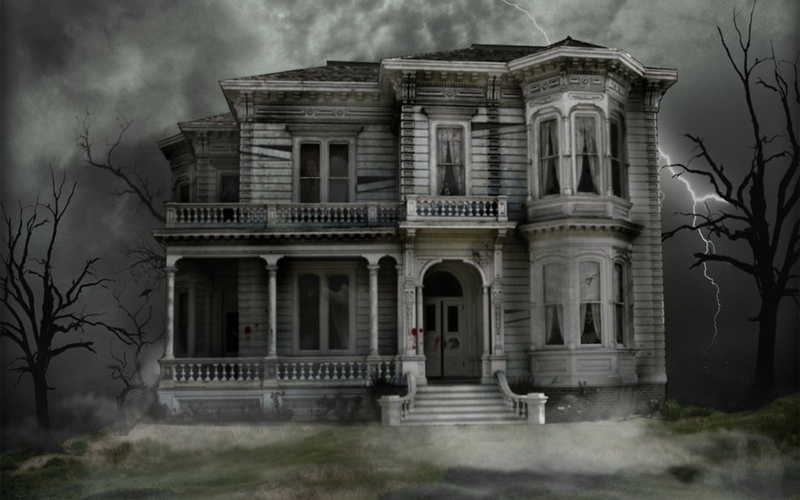 Haunted House. . HD Wallpaper and background images in the ハロウィン club tagged: halloween haunted house. This ハロウィン wallpaper might contain 褐色砂岩, 茶色の石, ブラウンス トーン, 邸宅, 牧師館, ホール, 住居, マンション, マンション ・ ハウス, マンセ, レジデンス, 長屋, タウンハウス, 行家, and 町の家. At first this house didn't look so bad, then I noticed the blood.